A cold start to the day, 35 degrees. But it was another sunny day and by this afternoon it was perfect walking weather. We had another slow start to the day. Even though it was a travel day, it was a relatively short one of about 4 hours driving, so we rolled over and went back to sleep. Luxury. And when we got up we finished packing up Fred at a fairly leisurely pace. Before leaving we mixed up some split pea soup in the thermos (click here for details) so we could have lunch when we arrived. We pulled out of Lumberton about 10:30, a really late start for us. 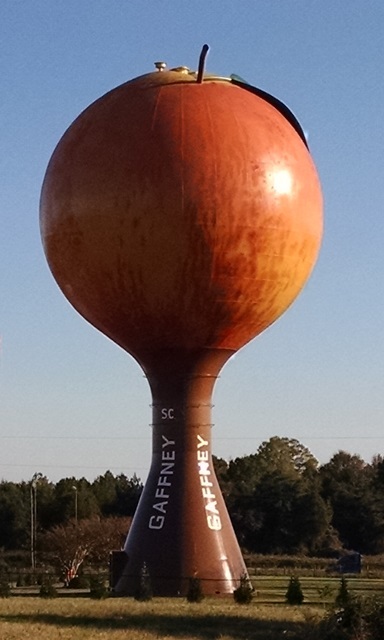 It was an easy drive on I-95, I-74, US 74 to 485 to I-85 to Gaffney, SC. Traffic became heavy and slow around Charlotte but otherwise it was easy. We are at the Freightliner Service Center in Gaffney to have Fred’s annual maintenance performed on Monday. We also have a couple of recalls to be done. The service center has connections in the parking lot with 50amps and a dump station and water available. We come here every year and have always been comfortable here. After our lunch of split pea and smoked sausage soup, we walked to the community college and back a couple of times to get our exercise. 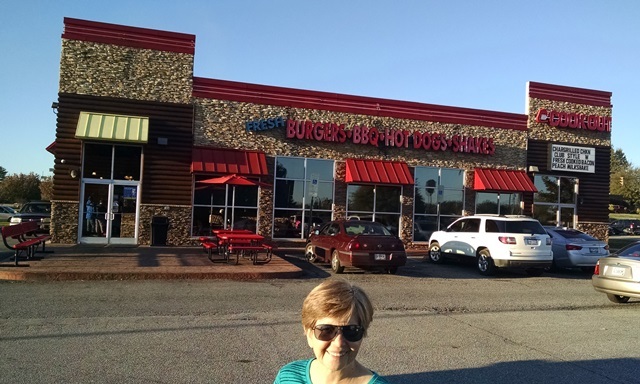 After the exercise we drove to Cookout for chocolate malt and blueberry cheesecake shakes. It was a good day and we really thank God for giving us safe travel.